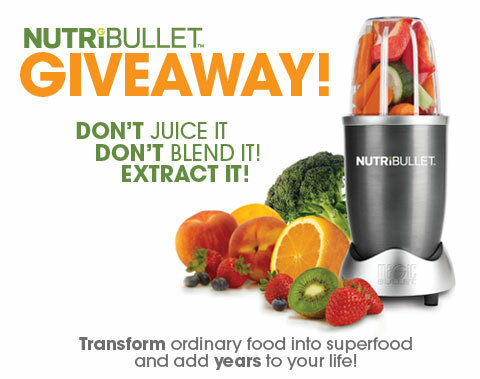 Want a chance to win a Magic Bullet, a Baby Bullet, a Party Bullet OR a NutriBullet? Enter HERE for your chance to win – four winners will be chosen randomly! The more entries you submit via the Rafflecopter app on the Magic Bullet Facebook page, the greater your chances are of winning. A winner will be randomly chosen, so participate today! Contest ends Friday June 21, 2013. Good luck! 1. Promotion Description: The ‘Magic Bullet Summer Giveaway!’ (“Sweepstakes”) begins on 06/12/2013 at 12:00 AM (Pacific Time (US & Canada)) and ends on 06/18/2013 at 11:59 PM (Pacific Time (US & Canada)) (the “Promotion Period”). By participating in the Sweepstakes, each entrant unconditionally accepts and agrees to comply with and abide by these Official Rules and the decisions of The Magic Bullet (“Sponsor”), which shall be final and binding in all respects. Sponsor is responsible for the collection, submission or processing of Entries and the overall administration of the giveaway. Entrants should look solely to Sponsor with any questions, comments or problems related to the Sweepstakes. 2. Eligibility: Open to legal residents of USA, Canada & Puerto Rico who are 18 years old or older. Void where prohibited or restricted by law. Sponsor and their respective parents, subsidiaries, affiliates, distributors, retailers, sales representatives, advertising and promotion agencies and each of their respective officers, directors and employees (collectively, the “Promotion Entities”), and members of their immediate families and/or persons living in the same household as such persons, are ineligible to enter the Sweepstakes or win a prize. Prize will only be awarded and/or delivered to addresses within USA, Canada & Puerto Rico. All federal, state and/or local taxes, fees, and surcharges are the sole responsibility of the prize winner. Failure to comply with the Official Rules will result in forfeiture of the prize. 5. Online Entry: Enter the Sweepstakes during the Promotion Period online by signing into the entry form and perform the tasks provided. The entry form can be found on the following website at http://www.rafflecopter.com/rafl/share-code/YTYzZGE1ZTFhODk1NmM0MDU1NDA3MmYwZDBjMmExOjY=/. 8. Winner’s List: To obtain a copy of any legally required winners list or a copy of the Official Rules, send the applicable request and a self-addresses, stamped, #10 envelope to The Magic Bullet cc: Magic Bullet Summer Giveaway! at PO Box 4574, Pacoima, California 91333. Request must be received no later than 48 hours + 6 MONTHS for the name of the winner and, by the end of the promotion, for a copy of the rules. 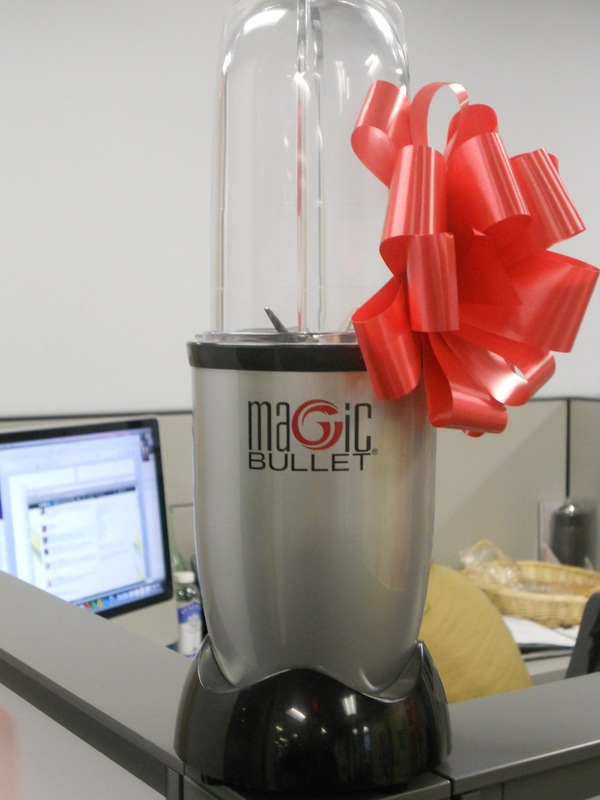 Magic Bullet Valentine’s Day Giveaway! It’s the big day. Love is in the air. Candles are lit. Dinner’s heating on the stove. You’re waiting for your loved one to get home and time seems to be crawling. Know what you need? A delicious Love-tini made in your very own Party Bullet! …And it just so happens we’re giving three away this Valentine’s Day! Simply follow the instructions after clicking the ‘Giveaway’ tab on the Magic Bullet Facebook page and this countertop mixology system, including a 32-ounce Party Pitcher and Mixology Manual, could be yours! So what are you waiting for? Click here to enter. Winners will be announced February 14, 2013, Valentine’s Day. Congratulations to Our Party Bullet Winners! Congratulations to Kimberly Butler, first place winner of our Favorite Summer Drink Photo Contest with her submission: Sangria! In second place we have Eric Lewis with Cotton Candy Cosmos. Finally, in third, we have a tie! Barbara Austin and her drink, Rum Runners, and Derek Boshold and his drink, the Heath Bar Mudslide. These drinks all look delicious! Each of the winners will receive a Party Bullet System. Congrats, everyone! Summer means fun in the sun with a drink in hand, and what better way to make drinks than with your very own Party Bullet? Take a picture of your favorite summer drink and you could win your very own Party Bullet system! So what’s your favorite? Whiskey Punch? Midori Sour Slushy? Or the classic Margarita? Post a picture of your favorite cool, summertime drink (heck, it could even be a Shirley Temple!) and you’ll be entered in our summer giveaway! We’ll choose our favorite top 10 photos and then Facebook fans will decide their 3 favorites. The winners will receive a complete Party Bullet system, including our Party Bullet 32-ounce Party Pitcher and Mixology Manual. Better make it pretty and better make it tasty. We’ll see you in a few drinks. Click here to enter! 1. The Contest. NO PURCHASE NECESSARY. VOID WHERE PROHIBITED BY LAW. Magic Bullet Fans: The “Party Bullet Favorite Summer Drink Photo Contest” is a contest to find the best photo of a drink submitted to us, based on technical skill and creativity. Submissions shall be accepted beginning 12:00 p.m. PST July 13, 2012 and will be open for submissions until 11:59 p.m. PST on July 31, 2012. A winner will be chosen by the fans after we have narrowed submissions down to our top 10. The winners shall be selected by Magic Bullet Facebook Fans by number of votes received. The winner will be announced on August 13, 2012 via a new Magic Bullet blog post http://magicbulletblog.com/. This Promotion is in no way sponsored, endorsed, or administered by Facebook, Inc. (“Facebook”). All questions, comments or complaints regarding the Promotion should be directed to the Sponsor (defined below) at the address listed below and not to Facebook. 2. ELIGIBILITY: ELIGIBILITY: The Contest is open to legal residents of the 50 United States, the District of Columbia and Canada, except those states and provinces where this contest would be void or prohibited. You must be 19 years of age or older to enter, you must be the parent or legal guardian of the child featured in the submitted photo and have a valid registered Facebook account. You may obtain a Facebook account prior to entering the contest by going to www.Facebook.com and signing up at no cost to you. You may not use anyone else’s Facebook account and can only enter through your own Facebook account. Employees and directors of Capital Brands LLC, Homeland Housewares, LLC, or any of their parents, subsidiaries, or affiliated companies, and immediate family members and persons who live in the same household as such employees and directors, are not eligible to participate. “Immediate family members” shall mean parents, stepparents, legal guardians, children, stepchildren, siblings, stepsiblings, or spouses. “Household members” shall mean those people who share the same residence at least three months a year. Subject to all applicable laws. Void where prohibited. 3. How To Enter. Post your photos using the Wildfire Application on the Magic Bullet Facebook page for your chance to win. Only one entry per person is allowed. Entries must be original, by you. Any materials or photos used by you must not infringe upon the copyrights, trademarks, rights of privacy, publicity, or other intellectual property or other rights of any person or entity. If the photo contains any material or elements that are not owned by the entrant and/or which are subject to the rights of a third party, the entrant is responsible for obtaining, prior to submission of the photo, any and all releases and consents necessary to permit use of the photo by The NutriBullet. Further, you represent that you are the sole owner of the photo. You agree to hold Sponsor harmless from all liabilities, including costs and attorneys’ fees from your breach of this or any other representation and warranty set forth in the Official Rules. All entries shall become the sole and exclusive property of the Sponsor, when submitted, and will not be acknowledged or returned. 4. Prize. The 3 winners will receive (1) Party Bullet System. Total retail value $59.99. Prize winner is responsible for any federal, state, and local taxes imposed as a result of receiving the prize. 5. GENERAL CONDITIONS/INDEMNIFICATION. By participating in this Contest and/or by accepting any prize that you may be awarded, you agree that Sponsor, Capital Brands LLC, Homeland Housewares, LLC, their respective parents, subsidiaries and affiliated companies, units and divisions; and their advertising and promotional agencies and prize suppliers; each of their respective officers, directors, agents, representatives and employees; and each of these companies’ and individuals’ respective successors, representatives and assigns (collectively, the “Indemnified Parties”) shall not be liable for any and all actions, claims, including any third party claims, injury, loss or damage arising in any manner, directly or indirectly, arising from or relating to this Contest, including entry and participation in this Contest, or the acceptance, possession, use of any prize. By participating in the Contest and/or accepting any prize that you may be awarded, you agree to fully indemnify each Indemnified Party from any and all such claims by third parties. Entrants also authorize the Indemnified Parties to use their name, voice, likeness, biographical data, city and state of residence and entry materials in programming or promotional material, worldwide in perpetuity, or on a winner’s list, if applicable, without further compensation unless prohibited by law. Sponsor is not obligated to use any of the above mentioned information or materials, but may do so and may edit such information or materials, in Sponsors’ sole discretion, without further obligation or compensation. The Indemnified Parties shall not be liable for: (i) late, lost, delayed, stolen, misdirected, , incomplete, unreadable, inaccurate, garbled or unintelligible entries, communications or submissions, regardless of the method of transmission; (ii) telephone system, telephone or computer hardware, software or other technical or computer malfunctions, lost connections, disconnections, delays or transmission errors; (iii) data corruption, theft, destruction, unauthorized access to or alteration of entry or other materials; (iv) any injuries, losses or damages of any kind caused by your participation in this Contest or resulting from acceptance, possession or use of a prize; or (v) any printing, typographical, administrative or technological errors in any materials associated with the Contest. The Indemnified Parties disclaim any liability for damage to any phone, computer or other electronic device resulting from participating in, or accessing or downloading information in connection with this Contest, and Sponsor reserves the right, in its sole discretion, to cancel, modify or suspend the Contest should a virus, bug, computer or phone problem, unauthorized intervention or other causes beyond Sponsor’s control, corrupt the administration, security or proper play of the Contest. Sponsor may prohibit you from participating in the Contest or winning a prize if, in its sole discretion, it determines you are attempting to undermine the legitimate operation of the Contest by cheating, hacking, deception, or any other unfair playing practices of intending to annoy, abuse, threaten or harass any other participants or Sponsor representatives. ANY ATTEMPT TO DELIBERATELY DAMAGE THE CONTEST’S WEBSITE OR UNDERMINE THE LEGITIMATE OPERATION OF THE CONTEST MAY BE IN VIOLATION OF CRIMINAL AND CIVIL LAWS AND SHALL RESULT IN DISQUALIFICATION FROM PARTICIPATION IN THE CONTEST. SHOULD SUCH AN ATTEMPT BE MADE, SPONSOR RESERVES THE RIGHT TO SEEK REMEDIES AND DAMAGES (INCLUDING ATTORNEY FEES) TO THE FULLEST EXTENT OF THE LAW, INCLUDING CRIMINAL PROSECUTION. SPONSOR: Capital Brands, LLC, 11755 Wilshire Blvd, St 1200, Los Angeles CA 90025. Here are the winners of the Autism Awareness Month Rescue Bullet Giveaway! Autism Awareness Month Rescue Bullet Giveaway! In support of Autism Awareness Month, share the story of someone you love with Autism. Post your story below in the comments section. Five random stories will be chosen to win a Rescue Bullet system. ELIGIBILITY: The Contest is open to legal residents of the 50 United States, the District of Columbia and Canada, except those states and provinces where this contest would be void or prohibited. You must be 18 years of age or older to enter. Employees and directors of Capital Brands LLC, Homeland Housewares, LLC, or any of their parents, subsidiaries, or affiliated companies, and immediate family members and persons who live in the same household as such employees and directors, are not eligible to participate. “Immediate family members” shall mean parents, stepparents, legal guardians, children, stepchildren, siblings, stepsiblings, or spouses. “Household members” shall mean those people who share the same residence at least three months a year. Subject to all applicable laws. Void where prohibited. How To Enter: Post your story of someone you love with autism in the comment section of the blog post on the Magic Bullet blog (http://magicbulletblog.com/?p=1291). Only one entry per person is allowed. WInners will be contacted via email. Prize. The 5 winners will receive (1) Rescue Bullet System. Total retail value $69.97. Prize winner is responsible for any federal, state, and local taxes imposed as a result of receiving the prize. GENERAL CONDITIONS/INDEMNIFICATION. By participating in this Contest and/or by accepting any prize that you may be awarded, you agree that Sponsor, Capital Brands LLC, Homeland Housewares, LLC, their respective parents, subsidiaries and affiliated companies, units and divisions; and their advertising and promotional agencies and prize suppliers; each of their respective officers, directors, agents, representatives and employees; and each of these companies’ and individuals’ respective successors, representatives and assigns (collectively, the “Indemnified Parties”) shall not be liable for any and all actions, claims, including any third party claims, injury, loss or damage arising in any manner, directly or indirectly, arising from or relating to this Contest, including entry and participation in this Contest, or the acceptance, possession, use of any prize. By participating in the Contest and/or accepting any prize that you may be awarded, you agree to fully indemnify each Indemnified Party from any and all such claims by third parties. Entrants also authorize the Indemnified Parties to use their name, voice, likeness, biographical data, city and state of residence and entry materials in programming or promotional material, worldwide in perpetuity, or on a winner’s list, if applicable, without further compensation unless prohibited by law. Sponsor is not obligated to use any of the above mentioned information or materials, but may do so and may edit such information or materials, in Sponsors’ sole discretion, without further obligation or compensation. The Indemnified Parties shall not be liable for: (i) late, lost, delayed, stolen, misdirected, , incomplete, unreadable, inaccurate, garbled or unintelligible entries, communications or submissions, regardless of the method of transmission; (ii) telephone system, telephone or computer hardware, software or other technical or computer malfunctions, lost connections, disconnections, delays or transmission errors; (iii) data corruption, theft, destruction, unauthorized access to or alteration of entry or other materials; (iv) any injuries, losses or damages of any kind caused by your participation in this Contest or resulting from acceptance, possession or use of a prize; or (v) any printing, typographical, administrative or technological errors in any materials associated with the Contest. The Indemnified Parties disclaim any liability for damage to any phone, computer or other electronic device resulting from participating in, or accessing or downloading information in connection with this Contest, and Sponsor reserves the right, in its sole discretion, to cancel, modify or suspend the Contest should a virus, bug, computer or phone problem, unauthorized intervention or other causes beyond Sponsor’s control, corrupt the administration, security or proper play of the Contest. Sponsor may prohibit you from participating in the Contest or winning a prize if, in its sole discretion, it determines you are attempting to undermine the legitimate operation of the Contest by cheating, hacking, deception, or any other unfair playing practices of intending to annoy, abuse, threaten or harass any other participants or Sponsor representatives. ANY ATTEMPT TO DELIBERATELY DAMAGE THE CONTEST’S WEBSITE OR UNDERMINETHE LEGITIMATE OPERATION OF THE CONTEST MAY BE IN VIOLATION OF CRIMINAL AND CIVIL LAWS AND SHALL RESULT INDISQUALIFICATION FROM PARTICIPATION IN THE CONTEST. SHOULD SUCH AN ATTEMPT BE MADE, SPONSOR RESERVES THE RIGHTTO SEEK REMEDIES AND DAMAGES (INCLUDING ATTORNEY FEES) TO THE FULLEST EXTENT OF THE LAW, INCLUDING CRIMINALPROSECUTION. Introducing Our Latest Member of the Magic Bullet Family – The NutriBullet! The larger capacity NutriBullet comes with a powerful 600 watt motor, the all new Extractor Blade and the Bullet Exclusive Cyclonic Action! Giving it the power to bust open seeds, crack through stems and shred tough skins. With the all-new “Superfood Nutrition Extractor” you can turn ordinary food into Superfood and add years to your life! Enter here to win 1 of 5 NutriBullets! Today we had an office holiday party – which, being the Magic Bullet Headquarters, of course, turned into a contest. For a free catered lunch, courtesy of the, ahem…incredible, selfless Marketing Department (us). Every department had half an hour to come up with a concept, and Marketing picked the winner (because obviously we’d win if we participated). 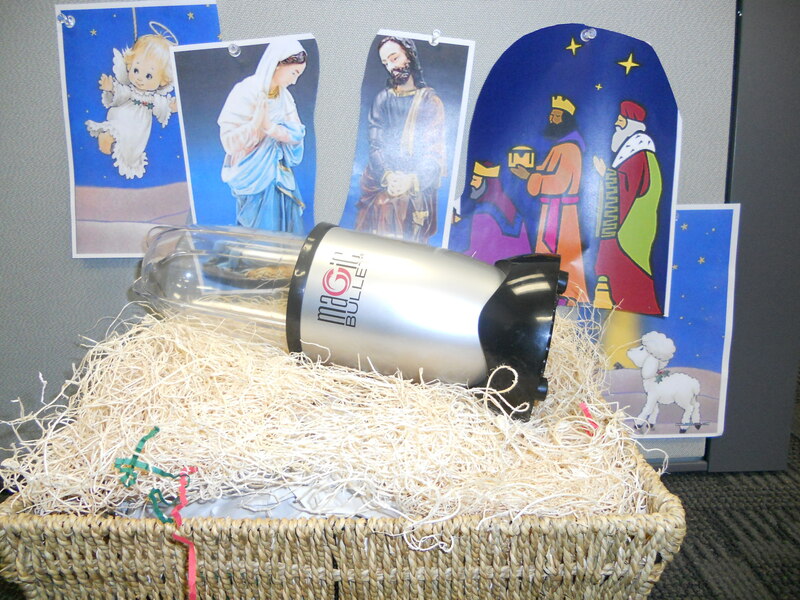 Above, we have our winner, “Away In a Manger” by our IT Department. It’s slightly offensive, but definitely the most original. 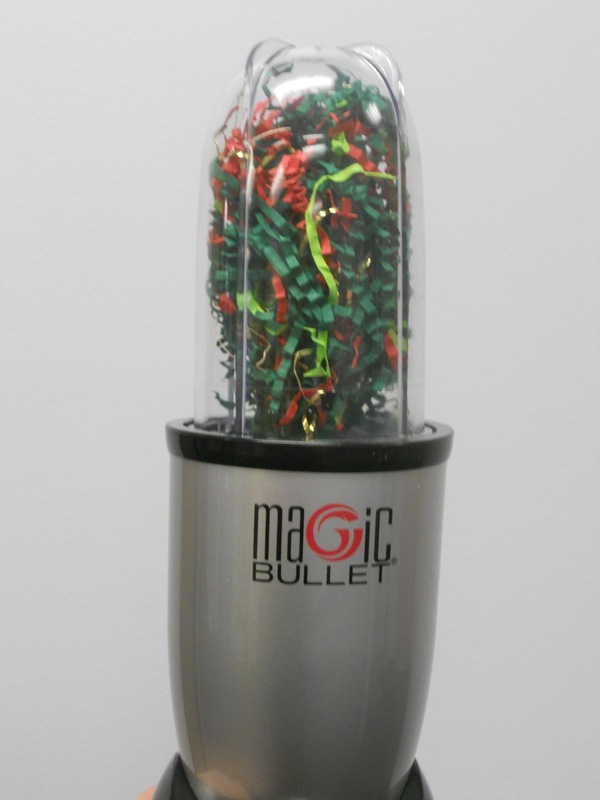 This gave us an incredible idea – why don’t we ask you to use the Magic Bullet to put a spin on your holiday? For this holiday season – New Year’s Eve, Hanukkah, Kwanzaa, Christmas, whatever…show us how you are using your Magic Bullet! Make a recipe, make an ornament, use the Magic Bullet as a mistletoe – there are too many ideas. And for doing that, we will reward our favorite picture a weekend getaway to any Marriott hotel – how about that? And we’ll share all the entries with you too – we gotta share the fun! Why: To win $500 of Marriott money. 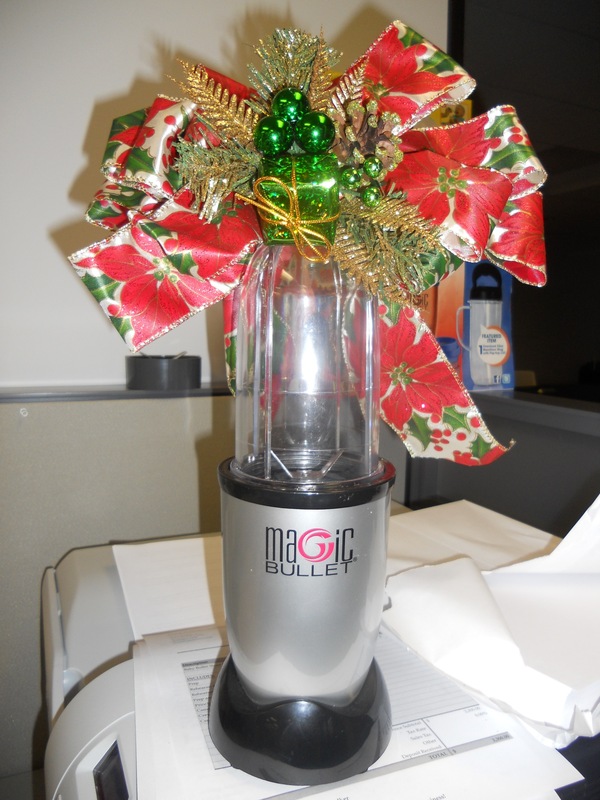 How: Send us a picture (through our Contest tab on Facebook) of your Magic Bullet putting a spin on the holidays. 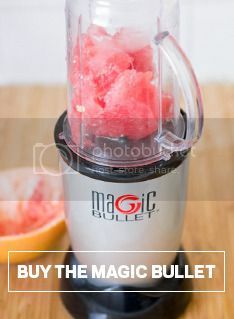 Magic Bullet Holiday Spin Contest (the “Contest”) starts on December 16, 2011 at 10:00:01 a.m. Pacific Standard Time (“PST”) and ends on January 4, 2012 at 12:00:01 p.m. PST (“Contest Period”). 1. ELIGIBILITY: Contest is open to residents of the fifty (50) United States and the District Of Columbia (the “Territory”), who are of legal age of majority in their state of residence (18, except in AL and NE: 19, and MS: 21). Employees of Sponsor, Homeland Housewares LLC, and their respective parents, subsidiaries, affiliates, promotion and advertising agencies, and members of their immediate family (defined as spouse and parent, children and siblings and their respective spouses, regardless of where they reside) and persons living in the same household, whether or not related, of such employees, are not eligible to enter or win. Void outside the Territory and where prohibited by law. Contest is subject to all applicable federal, state and local laws. 2. HOW TO ENTER. During the Contest Period, enter the Contest by visiting http://www.facebook.com/MagicBulletTheOfficialPage?sk=app_95936962634 (“Web Site”) and clicking on the “Like” tab (if you are not already a fan of the Magic Bullet Facebook Page). Then, click on the tab to access the Magic Bullet Holiday Spin Contest application and follow the online instructions to submit an entry. You will be invited to complete an Official Entry Form and submit a photograph that shows your Magic Bullet in holiday festivities (the “Submission”). The Submission together with the Official Entry Form shall be collectively referred to as the “Entry”. Limit one (1) Entry per day per person/email address. A “day” is defined as the 24 hours between 12:00:00 a.m. PST and the following 11:59:59 p.m. PST. All entries must be received by 12:00:00 p.m. (noon) PST on January 4, 2012 to be eligible. Entries received from any person or e-mail address in excess of the stated limitation will be void. No other form of Entry is valid. Entries generated by script, macro or other automated means or by any means which subvert the entry process are void. All entries become the property of Sponsor and will not be acknowledged or returned. i) The Entry may not contain any content that is lewd, obscene, sexually explicit, pornographic, disparaging, defamatory, libelous, obscene, or that otherwise contains inappropriate content or objectionable material as determined by Sponsor in its sole and unfettered discretion. ii) The Entry must be the your original work, created solely by the you, and must not infringe the copyright, trademark, privacy, publicity, or other intellectual rights of any person or entity. iii) If any persons appears in the Entry, you are responsible for obtaining, prior to sending the Entry, any and all releases and consents necessary to permit the exhibition and use of the Entry by Sponsor as set forth in these Official Rules. If any person appearing in any Entry is under the age of majority in their state of residence, the signature of a parent or legal guardian is required on each release. iv) The Entry must not contain any personally identifiable information of any person other than you. Should you include personally identifiable information about yourself in your Entry, you acknowledge and agree that such information will be disclosed publicly and you are solely responsible for any consequences thereof. v) You may not be, nor may you work with parties in conjunction with your Submissions, who: 1) are represented under contract (e.g., by a talent agent or manager) that would limit or impair Sponsor’s ability to display the Submission in any media form; 2) have an acting or modeling contract that would make their appearance in the Submission a violation of any third party rights; or 3) are under any other contractual relationship, including but not limited to guild and/or union memberships, that may prohibit them from participating fully in this Contest, or from allowing Sponsor to use royalty-free, the Submission worldwide in all media in perpetuity. vi) The Entry must not contain any commercial content or logos. vii) The Entry may not have been previously published and may not have won previous awards. viii) The Entry may not contain any material or elements that are not owned by the you and/or which are subject to the rights of third parties. By submitting your Entry, you agree that your Entry conforms to these Official Rules and that Sponsor, in its sole discretion, may disqualify your Entry for any reason at any time, including if it determines, in its sole discretion, that your Entry fails to conform to these Official Rules in any way or otherwise contains unacceptable content as determined by Sponsor, in its sole discretion. In addition, you hereby grant permission for the Entry to be posted on the Web Site or other websites. you agree that Released Parties (as defined below) are not responsible for any unauthorized use of Entries by third parties. Released Parties do not guarantee the posting of any Entry. You agree that you will not use the Entry for any other purpose, including, without limitation, posting the Entry to any online social networks, without the express consent of Sponsor in each instance. 4. JUDGING. All eligible Entries received by Sponsor will be judged by a panel of qualified judges on or about January 4, 2012 based on a weighted scale from 1 to 10 (10 being the highest) on the following criteria: Originality (50%), Creativity (35%) and Style (15%). The Entry with the highest overall score will be deemed the potential winner. In the event of a tie, the Entry among those that are tied with the highest score in Originality will be declared the winner.. Sponsor reserves the right not to award the prize if, in its sole discretion, it does not receive a sufficient number of eligible and qualified Entries. Prize award is subject to verification of eligibility and compliance with these Official Rules. 5. WINNER NOTIFICATION: Judges’ and Sponsor’s decisions are final and binding on all matters relating to this Contest. Potential winner will be notified by email within seven (7) days of judging and may be required to complete an Affidavit of Eligibility, Liability and Publicity Release (unless prohibited by law) and any other documents required by Sponsor, which must be returned within five (5) business days of date appearing on prize notification. Return of prize or prize notification as undeliverable, failure to sign and return requested documentation within the specified time period, the inability of Sponsor to contact a potential winner within a reasonable time period or noncompliance with these Official Rules by any potential winner will result in disqualification and, at Sponsor’s sole discretion, the prize may be awarded to a runner-up. If any potential winner is an eligible minor in his/her jurisdiction of residence, Sponsor reserves the right to award the prize in the name of his/her parent or legal guardian who will be responsible for fulfilling all requirements imposed on winners set forth herein. 6. Prizes: One grand prize winner will receive a $500 Marriott gift card to spend on his or her own weekend getaway. Prize winner is responsible for any federal, state, and local taxes imposed as a result of receiving the prize. Total ARV of all prizes $500. Prize is awarded “as is” with no warranty or guarantee, either express or implied by Sponsor. Winner may not substitute, assign or transfer prize or redeem prize for cash, but Sponsor reserves the right, at its sole discretion, to substitute the prize with one of comparable or greater value. Winner is responsible for all applicable federal, state and local taxes, if any, as well as any other costs and expenses associated with prize acceptance and use not specified herein as being provided. All prize details are at Sponsor’s sole discretion. Gift Card is subject to certain terms and conditions as specified by issuer. 7. GENERAL CONDITIONS. By participating, you agree: (a) to abide by these Official Rules and decisions of Sponsor and judges, which shall be final and binding in all respects relating to this Contest; (b) to release, discharge and hold harmless Sponsor, Homeland Housewares, LLC, Facebook, and their respective parents, affiliates, subsidiaries, and advertising and promotion agencies, and the respective officers, directors, shareholders, employees, agents and representatives of the forgoing (collectively, “Released Parties”) from any and all injuries, liability, losses and damages of any kind to persons, including death, or property resulting, in whole or in part, directly or indirectly, from your participation in the Contest or any Contest-related activity or the acceptance, possession, use or misuse of any awarded prize and (c) to the use of your name, voice, performance, photograph/video, image and/or likeness for programming, advertising, publicity and promotional purposes in any and all media, now or hereafter known, worldwide and on the Internet, and in perpetuity by Sponsor and its designees, without compensation (unless prohibited by law) or additional consents from you or any third party and without prior notice, approval or inspection, and to execute specific consent to such use if asked to do so. By participating, you also acknowledges that Facebook has its own guidelines that govern activities on its application and that you agree to abide by such guidelines. You agree not to release any publicity or other materials on your own or through someone else regarding your participation in the Contest without the prior consent of the Sponsor, which it may withhold in its sole discretion. 8. OWNERSHIP/USE OF ALL ENTRIES. By submitting an Entry, you hereby grant to Sponsor, and to its licensees, successors and assigns, and any person or entity acting on its behalf, the irrevocable right and license to use, publish, exploit, modify, edit, transmit and distribute the Entry, including, without limitation, the names and likenesses of any persons or locations embodied therein, in any and all media now known or hereafter devised, worldwide, in perpetuity for purposes without compensation, permission or notification to you or any third party. 9. GOVERNING LAW/JURISDICTION. The Contest and these Official Rules are governed by and shall be construed in accordance with the substantive laws of the State of California (as distinguished from the choice of law rules) and the United States of America applicable to contracts made and performed entirely in California and where the relevant contacts are with such state. Except where prohibited, as a condition of participating in this Contest, you agree that any and all disputes, claims and causes of action arising out of or connected with this Contest, the Prizes awarded, or the determination of the Official Winner shall be resolved individually, without resort to any form of class action. You further agree that in any cause of action, the Released Parties entire liability will be limited to the cost of entering and participating in the Contest, and in no event shall the Released Parties be liable for attorneys’ fees and/or experts’ fees and costs. You waive the right to claim any damages whatsoever, including, but not limited to, punitive, consequential, direct, or indirect damages and you further waive all rights to have damages multiplied or increased. 11. MISCELLANEOUS. Released Parties are not responsible for lost, late, incomplete, damaged, inaccurate, stolen, delayed, misdirected, undelivered, or garbled Entries; or for lost, interrupted or unavailable network, server, Internet Service Provider (ISP), website, or other connections, availability or accessibility or miscommunications or failed computer, satellite, telephone or cable transmissions, lines, or technical failure or jumbled, scrambled, delayed, or misdirected transmissions or computer hardware or software malfunctions, failures or difficulties, or other errors or difficulties of any kind whether human, mechanical, electronic, computer, network, typographical, printing or otherwise relating to or in connection with the Contest, including, without limitation, errors or difficulties which may occur in connection with the administration of the Contest, the processing or judging of Entries, the announcement of the prize, the incorrect uploading of the photo or in any Contest-related materials. Released Parties are also not responsible for any incorrect or inaccurate information, whether caused by site users, tampering, hacking, or by any equipment or programming associated with or utilized in the Contest. Released Parties are not responsible for injury or damage to any person’s computer related to or resulting from participating in this Contest or downloading materials from or use of the website. Persons who tamper with or abuse any aspect of the Contest or website, who act in an unsportsmanlike or disruptive manner or who are in violation of these Official Rules, as solely determined by Sponsor, will be disqualified and all associated Entries will be void. Should any portion of the Contest be, in Sponsor’s sole opinion, compromised by virus, worms, bugs, non-authorized human intervention or other causes which, in the sole opinion of the Sponsor, corrupt or impair the administration, security, fairness or proper play, or submission of Entries, Sponsor reserves the right at its sole discretion to suspend, modify or terminate the Contest and, if terminated, at its discretion, select the potential winner from all eligible, non-suspect Entries received prior to action taken using the judging procedure outlined above. CAUTION: ANY ATTEMPT TO DELIBERATELY DAMAGE THE WEBSITE OR UNDERMINE THE LEGITIMATE OPERATION OF THE CONTEST MAY BE IN VIOLATION OF CRIMINAL AND CIVIL LAWS AND SHOULD SUCH AN ATTEMPT BE MADE, SPONSOR RESERVES THE RIGHT TO SEEK DAMAGES AND OTHER REMEDIES (INCLUDING ATTORNEYS’ FEES) FROM ANY SUCH INDIVIDUAL TO THE FULLEST EXTENT OF THE LAW, INCLUDING CRIMINAL PROSECUTION. 12. Request for Winners’ List: For a list of winners (available after January 10, 2012), send a self-addressed, stamped, envelope by February 10, 2012 to: Magic Bullet Holiday Spin Contest Winner, c/o Capital Brands, 11755 Wilshire Blvd. , Suite 1200, Los Angeles, CA 90025. This Promotion is not sponsored, endorsed or administered by, or associated with, Facebook, nor is Facebook associated with the Promotion in any way. Any questions, comments or complaints regarding the Promotion must be directed to the Sponsor, and not to Facebook.